In the past the Central Washington Bridal Show has given away thousands of dollars in products and services to brides that have not been able to use their gift for one reason or another. This year the Central Washington Bridal Show will be giving away $1,000 to go toward your wedding. 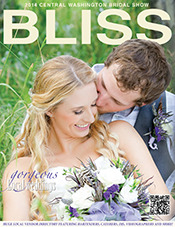 One lucky person will be drawn from those that register at the Bridal Show for door prizes. Central Washington Bridal Show will pay $1,000.00 to the Central Washington vendor or vendors of the winners choice to go toward your wedding. The lucky winner that is chosen from the drawing will choose what product or service they would like from our exhibitors for their wedding and the Central Washington Bridal Show will pay our exhibitor or exhibitors $1,000 to be used your wedding. This way the luck winner will be able to use the product or service they win because they get to to choose what the money is actually spent four. The grand prize drawing for $1,000 will take place at 3:00 pm. Must be present to win. There will be other door prize drawings throughout the day.